Watch out Spotify: Apple is coming for you. Today, Apple officially released its iOS 8.4 mobile operating system update. That update brings with it Apple Music, the company’s much publicized attempt at creating its own streaming music service. Apple Music boasts a library of over 30,000,000 songs – at least as many as competitors Spotify, Tidal and Google Play. 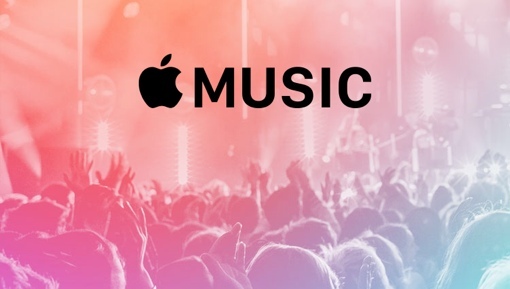 But make no mistake – Apple Music isn’t just another Spotify clone. There are a lot of new and unique features to Apple Music, many of which can be enjoyed without paying the $9.99 monthly subscription fee ($14.99 for a six-person family) for premium song access. From unique radio stations to iTunes integration, there’s something worth checking out for all current iPhone owners. 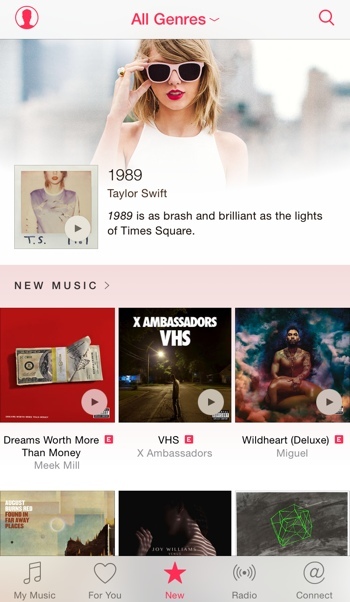 Here’s what you need to know about the new Apple Music service. My favorite feature of Apple Music is its new 24/7 online radio station called Beats 1. The station harnesses the star power of the Beats Music brand (owned by Apple now, of course) to offer shows by artists like Dr. Dre, Drake, Ellie Goulding, Elton John, Pharrell Williams and more. You get more than just a celebrity DJ though – Beats 1 has legit radio shows where you can expect to hear curated music, commentary and discussion of song meanings, interviews and even chats with fans. Think of Beats 1 like a well-produced XM or Sirius radio channel that you can access for free, even if you don’t subscribe to the Apple Music premium plan. If you’re on the lookout for new sounds, Apple Music can definitely point you in the right direction. You can learn what’s new each week in the “New” tab, expertly curated by humans and categorized by genre. Or, if you want more personalized recommendations, the “For You” tab makes recommendation based on what genres and artists you’ve liked on the service. You’ll need to sign up for the $9.99 premium version if you’d like access to Apple’s algorithms and expert recommendations, though. For a more organic music discovery route, you can listen to one of Apple Music’s Pandora-like Internet radio stations. Free users get limited skipping of songs; premium users get unlimited skips. If you’ve already purchased music through Apple’s iTunes service, good news – those songs can now be streamed to your phone at any time through Apple Music. If Apple Music’s library doesn’t contain the song, it can be uploaded to iCloud and streamed from there. Further, Apple Music uses your iTunes collection to get a better idea of what type of music you like so it can make better song recommendations (premium version). Want to stay better connected with the musicians that you love? Apple Music features a new social network called Connect where artists can share notes, videos, lyrics and other content. Drake, for example, has suggested Connect will play a major role in the release of his next album. Everyone can follow artists and view their streams on Connect, but only premium users can save, like and play Connect content like videos. Apple Music should be downloaded and installed on your iPhone and iPad as part of today’s iOS 8.4 software update. You can download and install that update by entering your device’s Settings, tapping General, tapping Software Update and confirming by tapping Download and Install.